Yá’át’ééh, shik’éí dóó shidine’é. Shí éí Amber Nicholene Benally yinishyé. T ł 'ízí lání nishłį́. Tódich'ii'nii bashishchiin. Kiisaanii dashicheii. Kiyaa'áanii dashinalí. Ákót’éego, Diné Asdzáán nishłį́. Tó Naneesdizí déé’ naashá. Ahéhee’! This is how Amber introduces herself as a Diné (Navajo) woman. She is a Diné, Hopi, and Zuni woman from Tuba City. 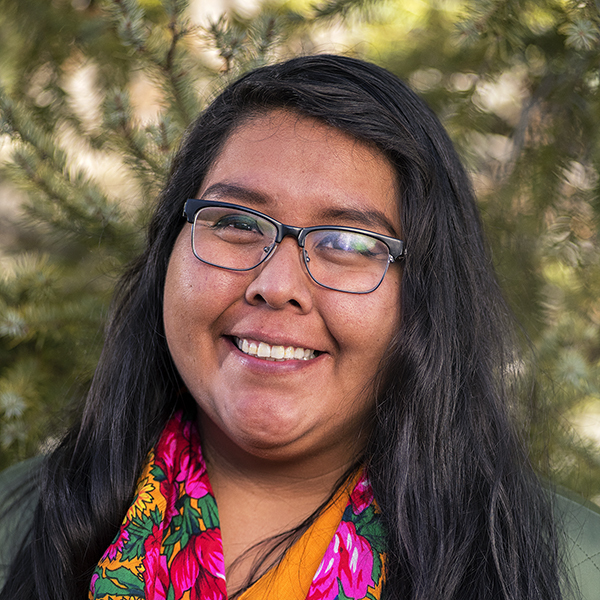 A Colorado Plateau native, she graduated from Fort Lewis College in Durango, Colorado, with a double major in sociology and environmental studies. Amber’s passion for conservation began when she joined her first Save the Peaks effort as an 8-year-old. Since then, Amber has propelled herself into environmental activism on the front lines as a politically engaged person. Amber joined the Trust because she believes in the voices of young people, the power of underrepresented populations, and the determination of anyone with a passion. "Spirituality is the foundation of all my political work." Custer Died for Your Sins by Vine Deloria Jr.